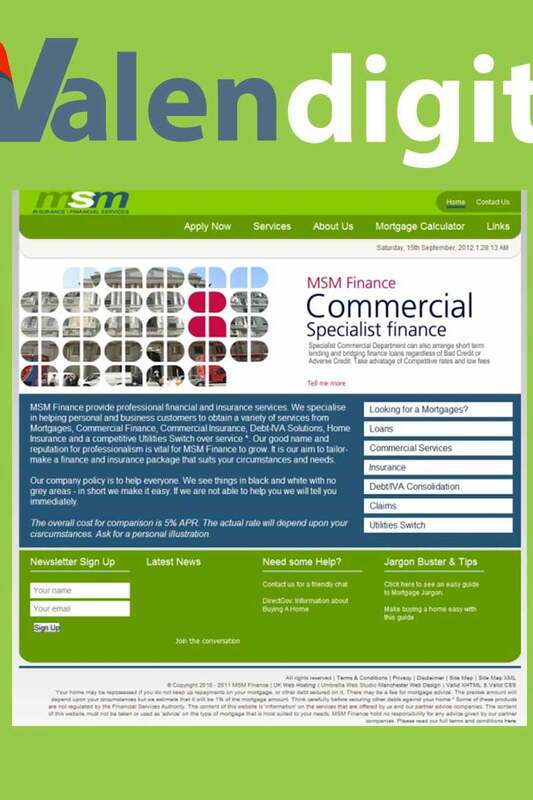 MSM Finance provide professional financial and insurance services. They specialize in helping personal and business customers regardless of there credit history obtain a variety of services from Mortgages, Commercial Finance, Commercial Insurance, Debt-IVA Solutions, Home Insurance and a competitive Utilities Swith over service. There good name and reputation for professionalism is vital for MSM Finance to grow. It is their aim to tailor-make a finance and insurance package that suits your circumstances and needs. MSM Finance company policy is to help everyone, regardless of your circumstances. Seeing things in black and white with no grey areas – in short they make it easy. If they are able to help you they will tell you immediately. Remember, MSM Finance can help regardless of CCJ’s defaults or bankruptcy. In fact last year they helped over 5000 clients to obtain a vast array of financial services.